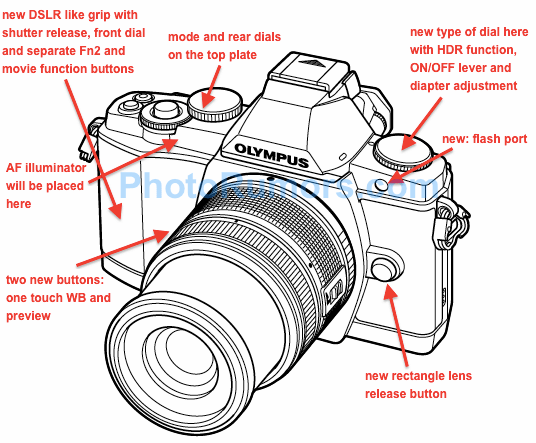 I received a detailed description of the upcoming Olympus EM-1 from someone who is/was testing the camera (I reported the basis specifications a month ago) - see the attached drawing above for details. The back of the Olympus EM-1 will have a newly designed AEL/AFL button/lever. The Fn1 button will have a new location. The LiveView button will be placed to the left of the viewfinder. The official announcement is expected in September.